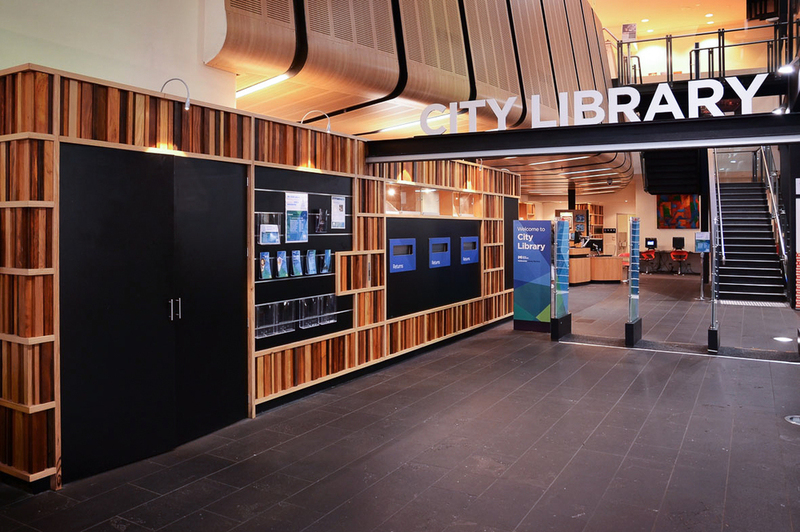 Opened in 2004, City Library in Flinders Lane is one of the busiest public libraries in Victoria. By 2012, the much-loved library was getting a bit shabby. Having seen a series of ad-hoc additions, the foyer was tired and the sorting room had outgrown its capacity. This project was about about reinvigorating the front-of-house with an extended sorting room and re-organised entry. The library was fully operational during construction - no easy feat for a busy public space! The project used reclaimed fallen timber from the City of Melbourne's parks - giving the trees back to public.